Get on top of weed control while maize plants are young, advises John Ball. Last year’s maize crop went on record as one of the best in recent history, in terms of both early harvest and feed quality, according to independent nutritionist, Richard Webster, who is based in the Midlands. It provided an ideal complement to grass silage, which was disappointingly high in fibre and low in energy and protein. 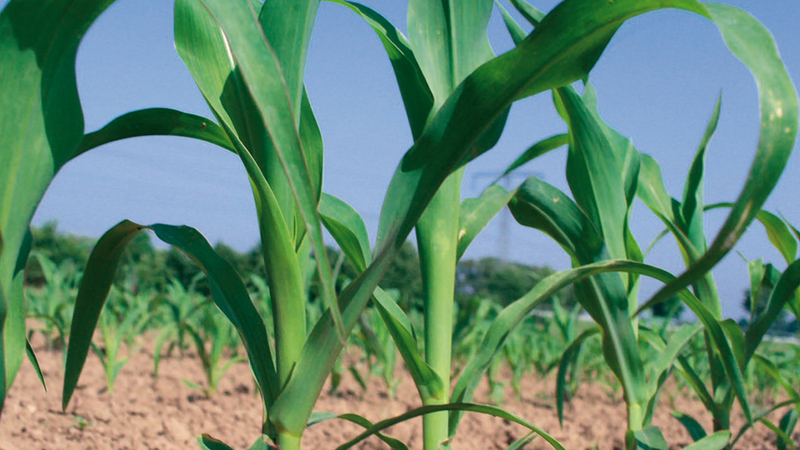 For first-time growers, he recommends choosing a variety which combines good initial vigour with early cob maturity and a high starch content potential, especially on farms in marginal areas. Agrovista’s John Ball points to the need to get on top of weed control while maize plants are young. Some 60 per cent of his Lancashire clients use a pre-emergence treatment, usually based on pendimethalin, although others have had success with a single, post-emergence application of Syngenta’s Elumis. Meanwhile, a single, post-em treatment may be adequate on farms with a lower weed burden, or with longer rotations, especially they include grazed grass, he suggests. It may also be the only option, when there has been insufficient moisture in the top two centimetres of soil to activate the pre-em application. Elumis, which can be used up to the eight-leaf stage, combines mesotrione + nicosulfuron in one liquid treatment, covering a wide spectrum of weeds and with greater efficacy, compared with standard straight options, he says. Complementary adjuvants and wetting agents have been selected and particle size has been reduced, for faster uptake. IT MAY be time to take a fresh look at growing maize under film, according to Mike Corp of Procam South West, who says modern products are much-improved. However, he warns that varieties for film should be chosen with care. “The main proviso is that maize under film requires a variety which has been tested using the technique and produced good results. This is because individual varieties do not necessarily perform in the same way under film as they do when they are used in a conventional growing system,” says Mr Corp.
Agrovista’s Simon Nelson also advises careful varietal choice for growing under film and he urges growers to drill early. “The point of using film is to protect the plant by warming the soil, thereby speeding up establishment,” he explains. Maize-growing under film has an advantage over conventional systems, as growers do not have to delay drilling until the soil reaches the minimum temperature of 10degC and rising, for three consecutive days, adds Mr Nelson, who reports that roughly 90 per cent of his customers in Cumbria use the system.